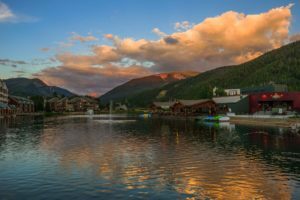 Whether you have time for an afternoon adventure or a week of play, make your Keystone trip great with these top reasons to visit (and a few tips). Don’t miss a chance to take in an iconic view of Lake Dillon and Summit County from the top of Dercum Mountain. Scenic chairlift/gondola rides begin June 9. Don’t forget your camera! You might have played a round of golf before, but few courses offer the stunning vistas available on Keystone’s two courses. Lodging guests receive nine holes free with any stay, and with plenty of clinics, lessons, and fun events, there’s something for various abilities at the Keystone Ranch and River Course. Kids Rule at Keystone, and daily Kidtopia activities are the perfect opportunity to play in our amazing mountain setting. Every body needs a good stretch, and Keystone’s Mountaintop Yoga is one of the most scenic and unique ways to move your body and spirit. With views of the Continental Divide to the East and Buffalo Mountain to the West, a paddle on Keystone lake is one of the most scenic adventures you can enjoy. Standup paddleboards, boats, and kayaks are available for rent at the Keystone Adventure Center. Make the most of your time by booking these and other activities in advance. From drinks on the patio at the Ski Tip Lodge or Keystone Ranch to Yappy Hour with your favorite four-legged friend at the Black Bear Grill, Colorado craft beers in the heart of the Village at 9280’ Taphouse to our signature Friday Afternoon Club on the mountaintop, Keystone has you covered. Cheers to the day, and your next adventure. You deserve it! 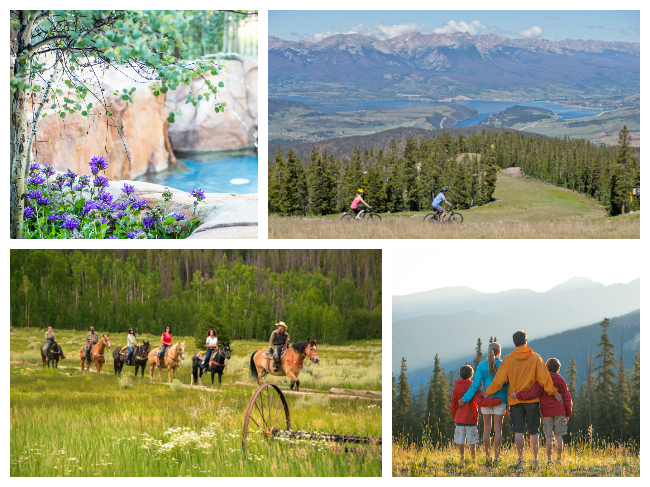 With miles of paved paths linking Keystone’s two Village areas and scenic Summit County, a simple walk will have you soaking in the splendor of the Colorado Rockies. If two wheels is your preferred method of transportation, cruiser bikes are available for rent at the Keystone Adventure Center in Lakeside Village. Keystone maintains a solid 70 degree average temperature throughout the summer. It’s perfect weather for enjoying the outdoors on long hikes, bike rides or spending a day on the lake. Don’t forget a jacket for cool evenings. 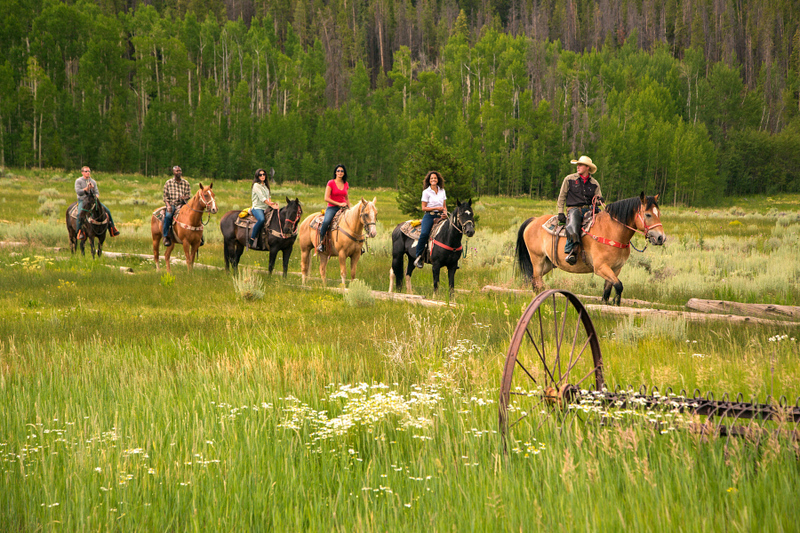 Soak in the spirit of the Wild West on a scenic horseback or wagon ride with Keystone Stables. 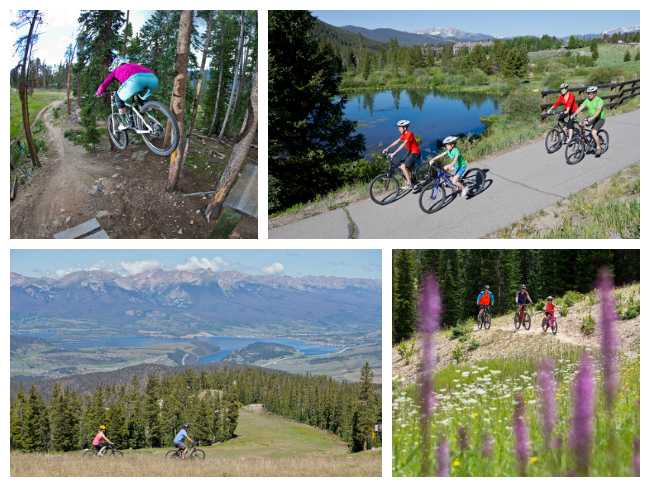 Get your adrenaline pumping with laps in Keystone’s downhill Bike Park. Lessons and equipment rentals are available on-site, and this hard-charging sport is sure to push you out of your comfort zone and into a new hobby. Didn’t know about all the amazing activities Keystone offers in the summer? Click here to create a customized itinerary. Don’t forget to browse the event calendar, for the best of what’s happening during your stay. And if you haven’t yet booked lodging, check out current vacation deals.